Dreaming is great. Planning is great. Remember to act on it too! I agree with this. After the whole Shonda Rhimes personal hoopla I have experienced, I have realized that I am not stuck dreaming. I am here. I am living my dream with Berna. We have a fierce plus size fashion line, a line up of great models, a professional team and of course, roster of empowered Erzulliestas ready to take on the world! All the good and bad things --- it’s all part of the dream. Everyone did just say follow your spirit/heart/bliss etc. but they didn’t say that it will always be rainbows and candies. Achieving your dreams is actual hard work. Achieving your dreams is actually about DOING what you really wanted to do in the first place. So dreaming is great. Planning is great, but remember to act on it too! #1 “Don’t give up on yourself” --- need we say more? #2 A FEW DAYS TO GO! 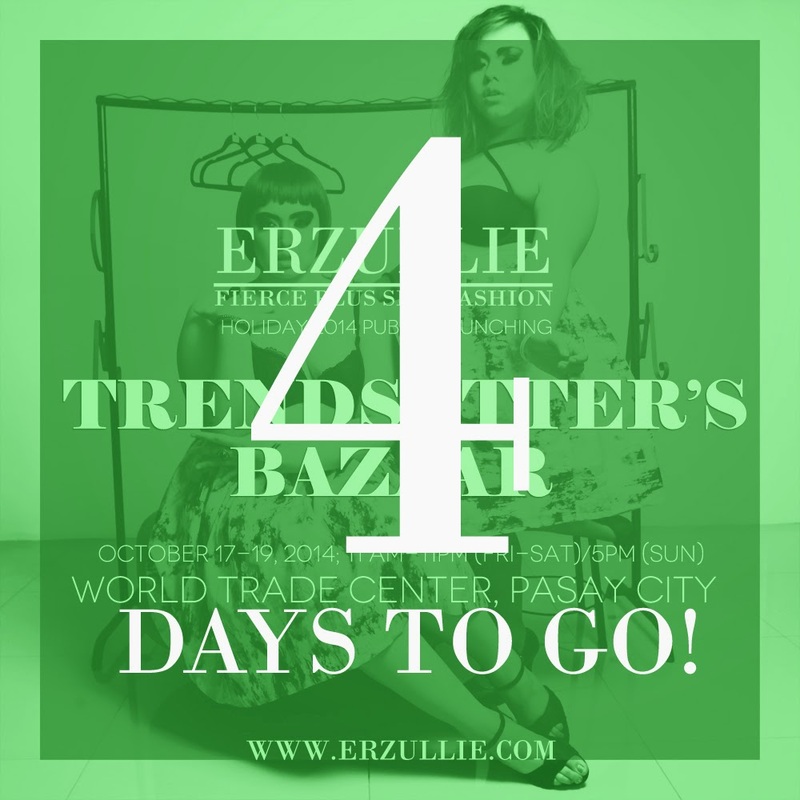 Erzullie will be at the Trendsetter’s Bazaar, World Trade Center, Pasay City on October 17-19, 2014; 11AM-10PM (FRI-SAT) / 7PM (SUN). Excited to grab the Holiday 2014 collection? We’re ready. #3 60% of our style inventory is already sold out. Thank you so much, Erzulliestas! You made this happen! Coincidentally, 40% is left for our 4th year anniversary. I just love how the Universe work. #4 Want to know what Erzullie photos really look like BEFORE they are photoshopped? Check out the unedited versions of your favorite icons. Spoiler: still fierce. 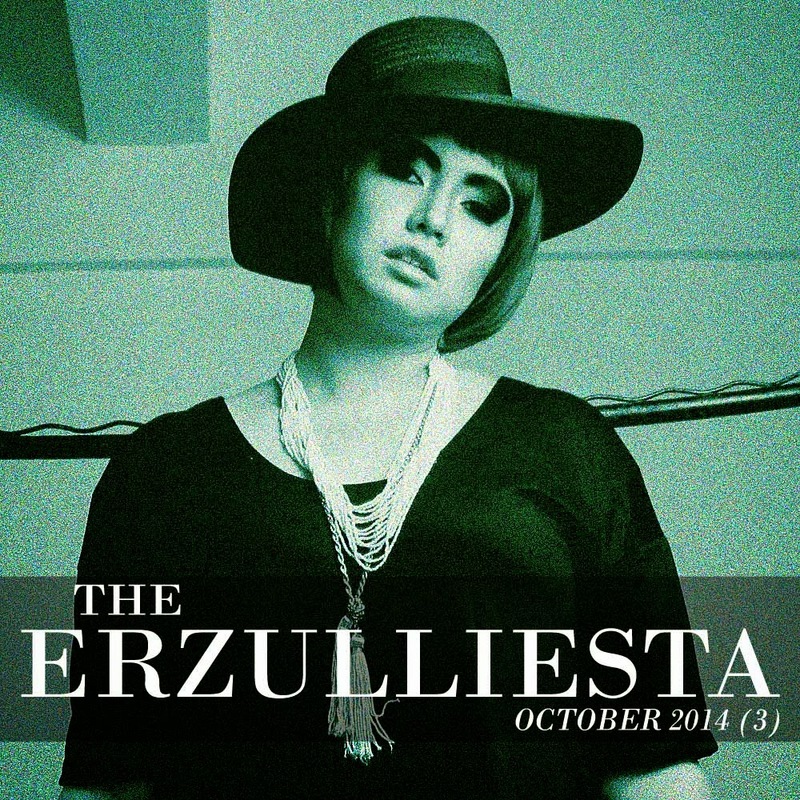 #5 Speaking of fierce, get your Erzulliesta style on with “Color me, Fierce” and “Red Girl” OOTD’s. Not much of a bright colored girl? How about this brown sleeveless coat? #6 November is coming and we got these amazing events lined up for you! One of which is the Erzullie Plus Size Model Open Shoot. 5 slots only!